BRIGHTON & WORTHING BADMINTON LEAGUE. 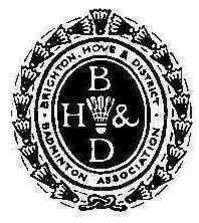 Welcome to the Brighton & Worthing Badminton Association web site. The Association organises league badminton in the Brighton and surrounding Sussex area, from Eastbourne in the east to Horsham in the northwest, Chelwood Gate in the northeast and Worthing in the west. We also encourage and help new clubs to become established in the area, contact the Chairman or Secretary for more information. Minutes of the NEW Brighton & Worthing Badminton Association EGM, held Wed 5th June 2018.